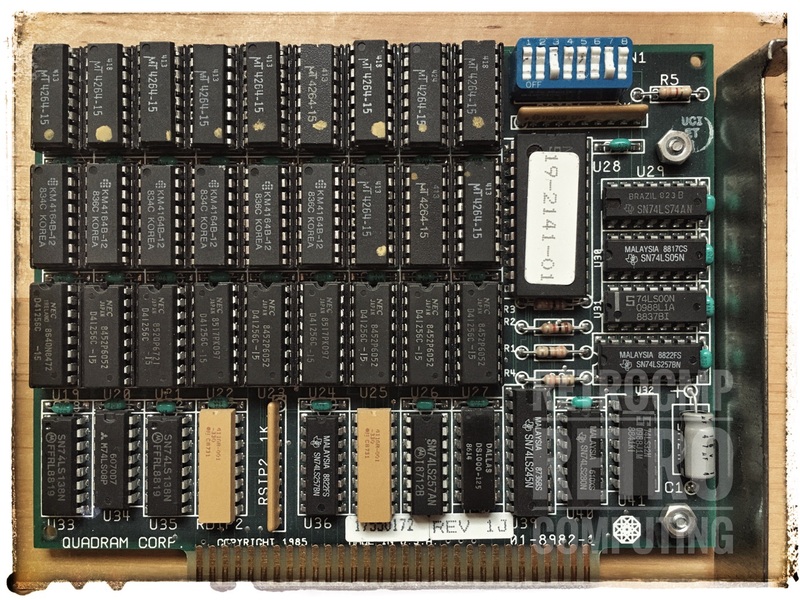 This memory expansion card is from Quadram, namely the short version. As far as I know, there is no documentation for this short card on the Internet. This card is a memory expansion card only. This installation is only valid for the combination 256+384=640 KByte! Disclaimer: I can make no guarantee that the information is correct. The Rampage! 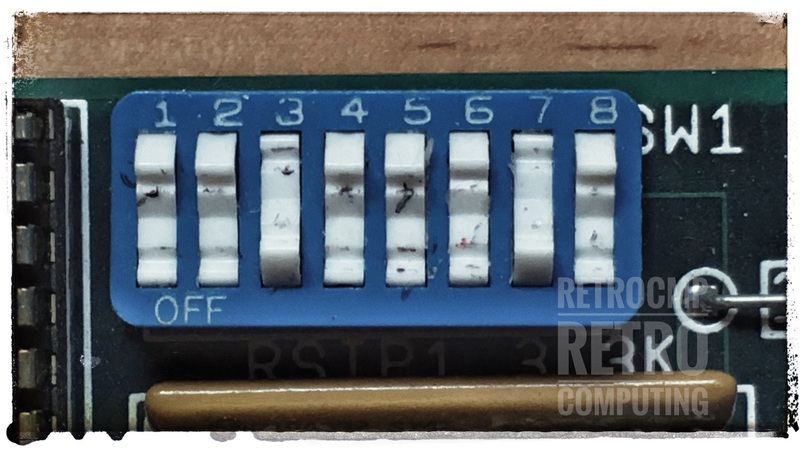 and SixPakPremium memory expansion cards from AST have the same settings for the first four DIP switches. Assumption: Here the so-called start address is set; in this case 256 KByte. Minus Zero Degrees: Some Quadram Cards.